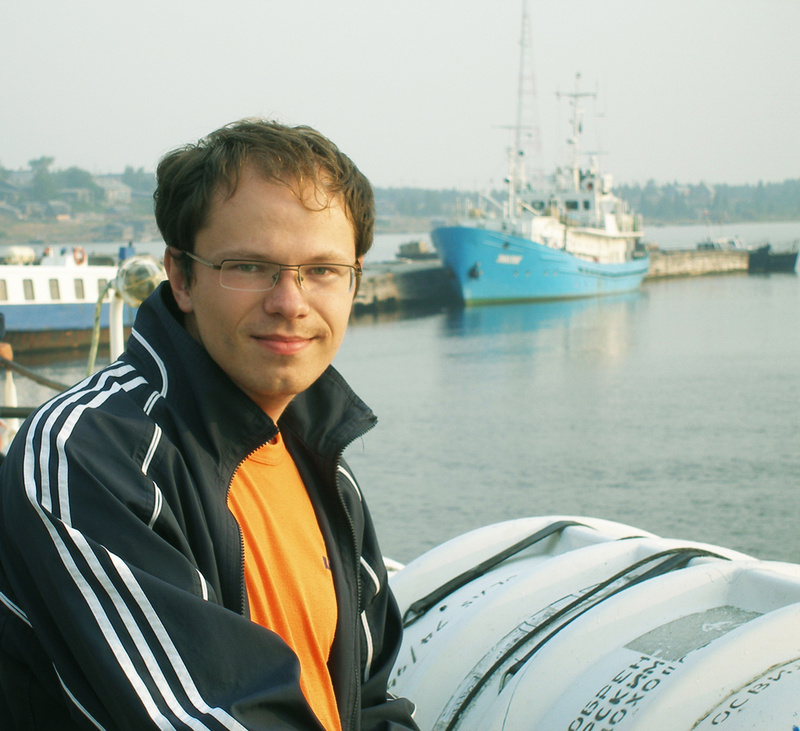 A few weeks ago, our friends at Levenhuk Telescopes conducted an interview with Artyom Novichonok, who, along with his colleague Vitaly Nevsky, discovered Comet ISON (C/2012 S1) in 2012. Levenhuk has graciously allowed us to reproduce the interview here. LT: Artyom, stargazers the world over are looking forward to the arrival of Comet ISON. However, we hardly know anything about the person behind this discovery, apart from the fact that, following your discovery, the University of Cambridge bestowed the Edgar Wilson Award on you. Can you tell us something about yourself? AN: With pleasure! However, I’d like to point out that Vladimir Gerke and I were given this prestigious award for the discovery of Comet Novichonok-Gerke (P/2011 R3) in 2011. This was the first comet discovered in the Russian Federation since 1989, and my first comet discovery, as well. The ISON comet is not named after the people who discovered it, so we can’t receive an award for its discovery. I can’t remember how I became so fascinated with astronomy. I think it all started when I was a little kid, and the interest slowly grew into something more. When I was young, we lived in a small village in the northern part of Karelia, where winter days are short and nights are extremely long. I remember lying in the snow, staring at the stars – the mysteries of the universe beckoning and inspiring me. The night skies were always clear, with myriad stars shining bright, and I spent hours just lying there, watching. I was lucky, I guess, growing up in a small village. I know that most amateur stargazers live in cities, where light pollution is always a big problem. I didn’t have to worry about it back then. When I learned how to read, I found Stars and Planets for Kids by Efrem Levitan, which we had at home, a fascinating read. At some point, when I was in junior high, I learned that the universe is infinite. I was very much frightened by that notion, trying to understand it and unable to do so. I mean, how do you comprehend infinity? This question worried me so much that my interest in astronomy lessened. LT: So, how did you become a professional astronomer? What made you want to solve the mysteries of the universe? When did you see the night sky through a telescope for the first time? AN: It wasn’t until senior high that I returned to astronomy. We had just bought a PC and, for some reason (I can’t remember why), I had installed Red Shift 3 — a popular planetarium software. My interest was rekindled at once! Stars and planets were as close as ever, and once again I became enchanted. Around that time, my grandma gave me my first telescope as a birthday present. The first object I observed was the Moon — the easiest object to observe. Most amateur stargazers begin their journey through the universe with Earth’s satellite. I did observe the Moon before because we had powerful binoculars at home, but with my new telescope, I was able to see so much more! When I was in college, I became fascinated with comets. The interest grew over the years, and soon became my true calling. Nowadays, I’m studying comets at the Karelian Observatory, which I founded. LT: When exactly did you realize that solving mysteries of the universe would become your career? AN: Well, I did choose biology as my major in college. There was no astronomy college in Petrozavodsk, and I was scared of moving to a bigger city in pursuit of my dreams. I wasn’t really certain I was capable of seeing those dreams through. I was about to graduate, when I realized that there’s nothing to be afraid of, that there’s no denying this fascination. It was then, about four years ago, that I made my first asteroid discoveries, started working with remote telescopes, and founded the College Astronomy Club. Last year has seen the opening of the Petrozavodsk University Observatory. Currently, we are working closely with the management, constantly bringing new ideas for improvement. I sincerely hope that many more people will become interested in the field. 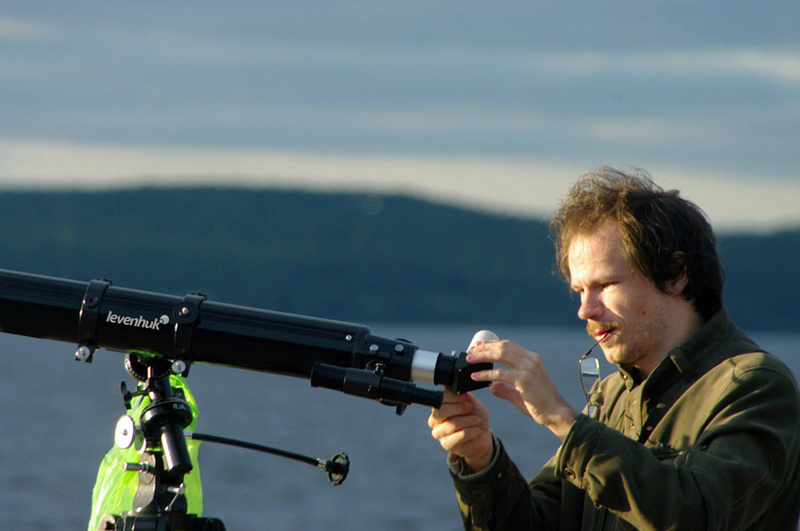 Artyom Novichonok begins an observing session by setting up a Levenhuk Skyline 90x900 EQ Telescope. LT: Can you tell us about your first comet discovery? How did it happen, and what did you feel once you realized the significance of this discovery? AN: I’ll be honest, I never even dreamt of discovering a comet. Certainly, even back in college, when I only began taking interest in comets, I was fascinated with stories of their discoveries. Just with basic telescopes, sometimes even binoculars, people searched the night sky, discovering these wanderers of the universe. But I never considered that I could make such a discovery myself. Back in 2009, when I started doing CCD observations and photographing comets, I realized that such discoveries were well within my reach. It took us some time to figure out the best way to image comets. The method that we have come up with has proven to be quite efficient, and by now I have performed about 1,500 observations of hundreds of comets. You could say that I’m an avid collector – comet descriptions, photometry, tail measurements, etc. – I collect everything. As I was observing comets, I was also searching for new ones. That was made possible by the Tzec Maun remote observatory. My colleague Dmitry Chestnov and I have discovered dozens of asteroids while working in the observatory. I was always searching the night sky, trying to find something new – it was as if I was enthralled. It was then that I realized there’s so much unknown in the universe that discovering a comet is not that hard. Vladimir Gerke and I were working with a remote telescope of the Ka-Dar observatory. It had a field of view of only 0.28°, but had a high limiting stellar magnitude. One day, we were observing the sky, when suddenly we noticed an unknown comet that was a little bit brighter than 19th magnitude. To be honest, we did not expect this to happen. I now realize that comet discovery is not that big of a deal. The way technology has advanced, with equipment we now possess, it is hard to miss an object in the night sky. Even though our comet was no brighter than 17th magnitude, I’m certain that someone would’ve discovered it sooner or later. It was the same with Comet ISON — we discovered it only a day earlier than LINEAR. We got lucky both times, and now I know it. It turns out that luck plays a major role in most discoveries. LT: I bet most readers of Astronomy.com would love to be in your shoes. Can you tell them about your life after the discovery? AN: The comet discovery has been like a rite of coming of age. It’s as if I became older and wiser after this discovery. Most astronomers continue their search for unknown objects after their first find, but it’s different with me. I have already discovered two comets, and I do not feel the urge to continue the search. We are still scanning the sky for new objects, but it has since ceased to be my calling. My discoveries gave me the sense of accomplishment, the desire to improve, to try my hand at something different. The experience is invaluable, but I’m slowly moving on. Thanks to Levenhuk Telescopes, you can ask Artyom Novichonok a question online. Just visit Levenhuk.com. And for everything Comet ISON related, visit www.Astronomy.com/ISON. This article originally appeared on Astronomy.com and is reprinted here with permission from Kalmbach Publishing.